The final day of track racing at the Gold Coast Commonwealth Games in Brisbane, Australia was one of mixed emotions for the Northern Ireland team. In the Scratch Race Lydia Boylan was the top finisher as 8th rider across the line. 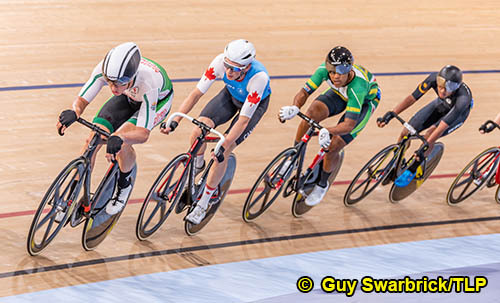 Robyn Stewart and Marc Potts both finished 12th in the Keirin and Points Race respectively. The Points Race was drama-filled with Mark Downey looking good for qualification to the final out of heat one, until an incident with twenty laps to go hampered his hopes. 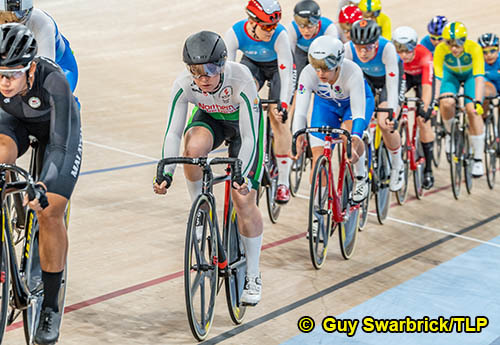 In the Women’s Keirin Stewart was in flying form in the early rounds, qualifying straight to the second round from her first race, before a fourth place saw her narrowly missing out on the Finals 1-6. 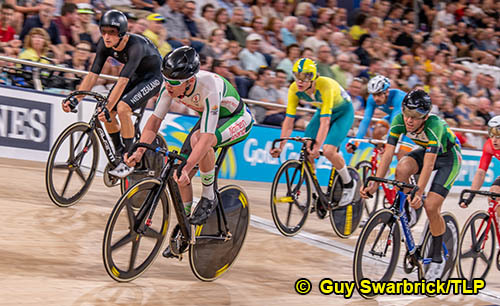 In the Final 7-12 Stewart, who is relatively new to cycling, tried a new tactic which didn’t work – “I made another poor decision to go early in the minor final, I went hard early and got swamped. I’m disappointed – I felt so good, but I made bad decisions. It’s all part of this learning, but I know I can do better! This experience has been incredible, the support from home and everything. And my brother in law won gold in the points race too!” Stewart’s brother in law is Mark Stewart who was competing for Scotland at the Commonwealth Games. In cycling the focus now switches to Time Trialling, with Marcus Christie, Xeno Young and Eileen Burns set to fly the flag for Northern Ireland next Tuesday. The Commonwealth Games run from the 4th – 15th April in the Gold Coast, Brisbane, Australia.